On 1/16/1998 at shortly after 12:12 UTC SCET, the Mars Global Surveyor Mars Orbiter Camera (MOC) took this high resolution image of a small portion of the potential Mars Surveyor '98 landing zone. For the purposes of planning MOC observations, this zone was defined as 75 +/- 2 degrees S latitude, 215 +/- 15 degrees W longitude. 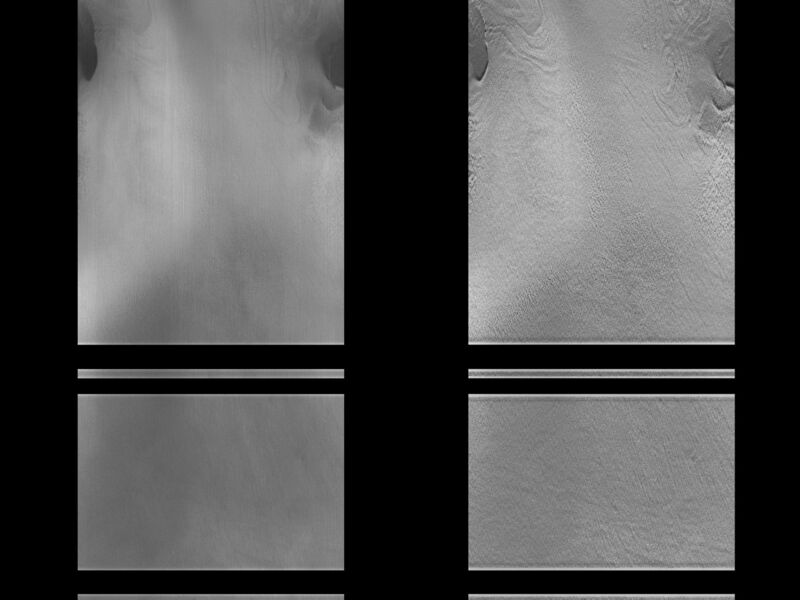 The location of the image was selected to try to cover a range of possible surface morphologies, reliefs, and albedos. 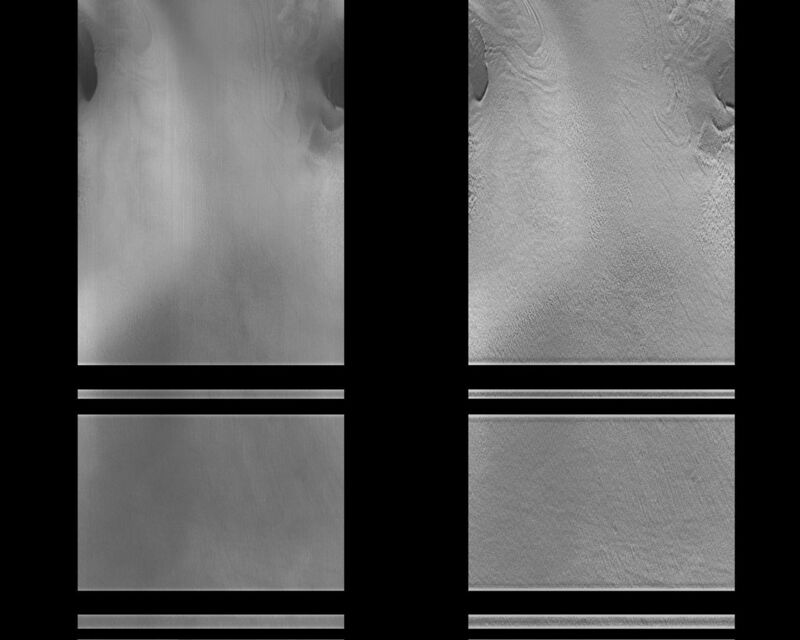 The spacecraft was observing at approximately 75 degrees S, 213 degrees W. North is to the top of the image. 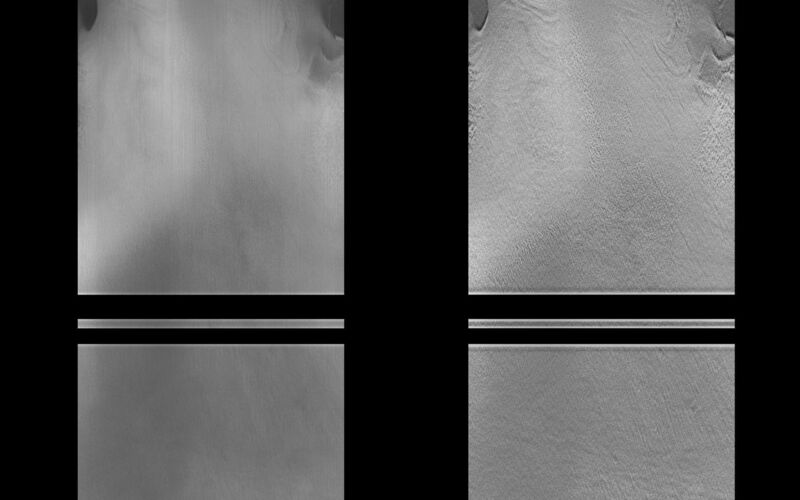 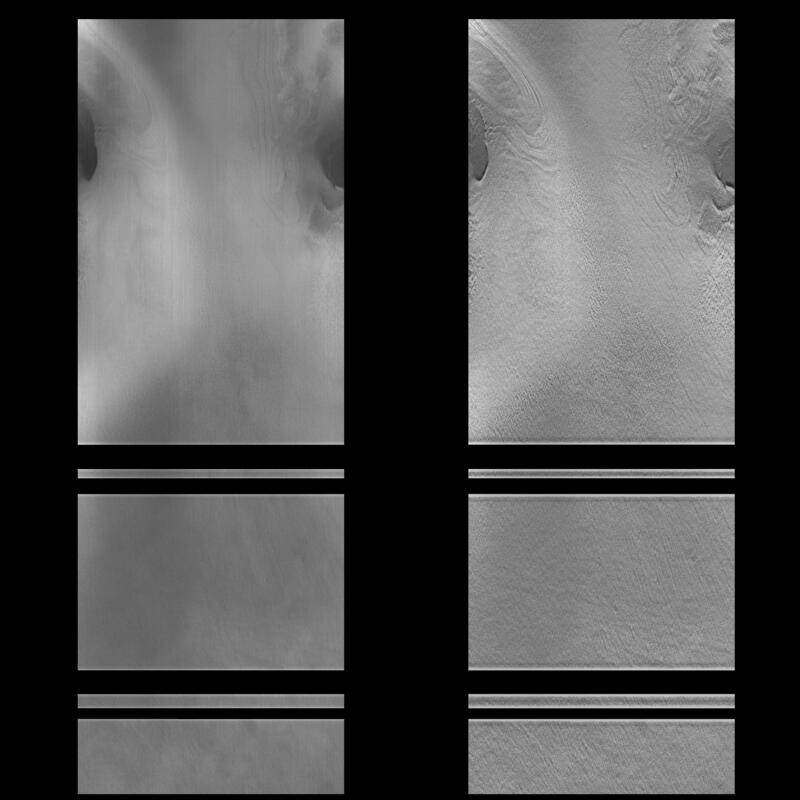 The effects of ground fog, which obscures the surface features(left), has been minimize by filtering (right).